A new assessment conducted by researchers from the George Washington University Milken Institute School of Public Health has prompted the US government to raise the official Hurricane Maria death toll from 64 to 2,975. With the overwhelming amount of donations received, organizers say they'll use the funds to help more cats around the observatory and look into adopting them out to families on the mainland. 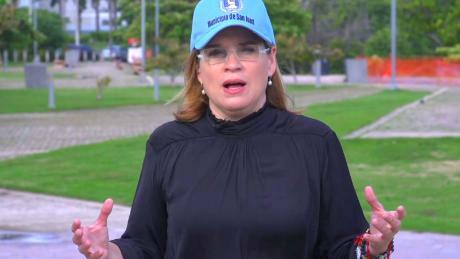 San Juan's mayor, Carmen Cruz, called the new report "painful and shameful", and told CBS News' David Begnaud the governor should take more responsibility. More than a thousand Puerto Rican families who fled Hurricane Maria will get two more weeks of USA -funded housing in hotels and motels across the country but will then need to fend for themselves, a federal judge ruled on Thursday. He also awarded himself a "10 out of 10" on disaster recovery efforts during an Oval Office meeting previous year with Puerto Rico's governor. Until the recent update, Puerto Rico's government had said only 64 people died as a result of the storm. Trump also mentioned that aid to Puerto Rico was made more hard due to it being an island and praised the work of the Federal Emergency Management Agency. The government is asking the U.S. Congress for US$138 billion, but Trump's answer has been: "I only hope they don't get hit again". "Brownie, you're doing a heck of a job", Bush said then. Power has not yet been fully restored to Puerto Rico almost a year after the hurricane, and outages remain common. The report is entitled, "Ascertainment of the Estimated Excess Mortality from Hurricane Maria in Puerto Rico". With some of the island still without power, Puerto Rico now faces into a hurricane season this year.